The setup: TS APO 114mm, F/7, with the ASI 174MM camera. The Herschel wedge for White Light, and the Quark Chromosphere for H-alpha. Good seeing. 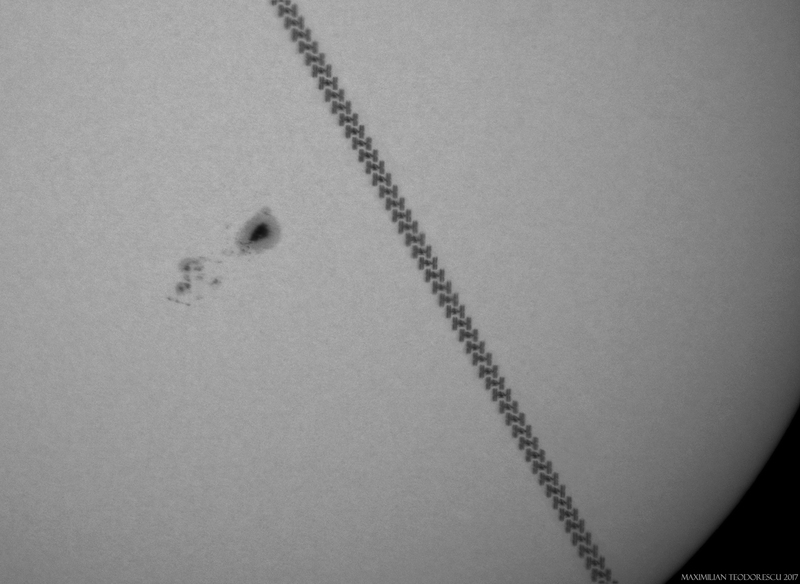 A lucky transit of the ISS occurred over my home. 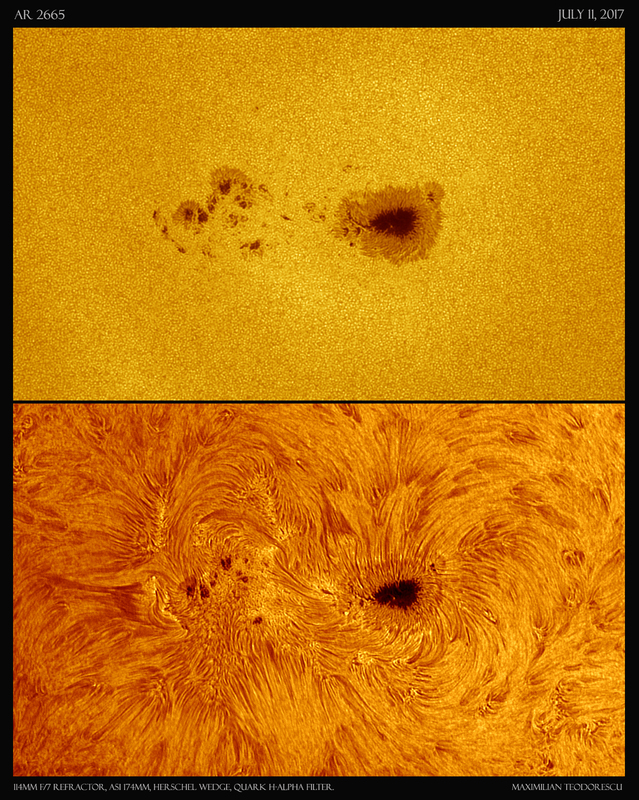 Only a fast setup of the astro gear was required for this event. 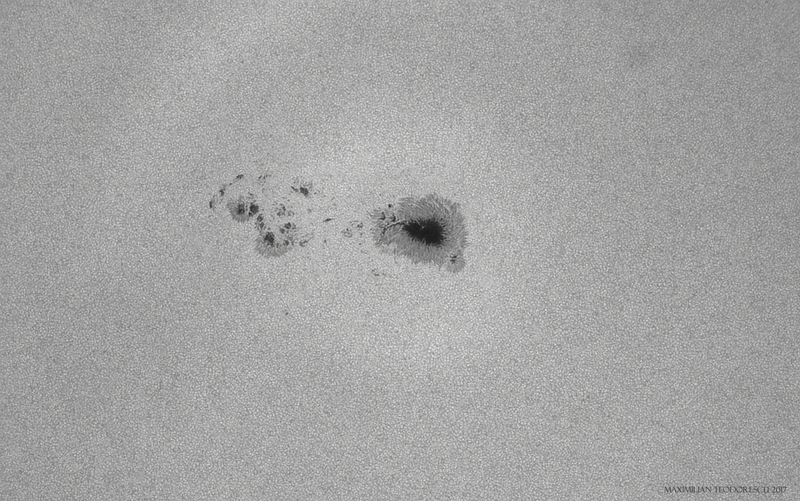 The large AR 2665 sunspot group added the already interesting view. 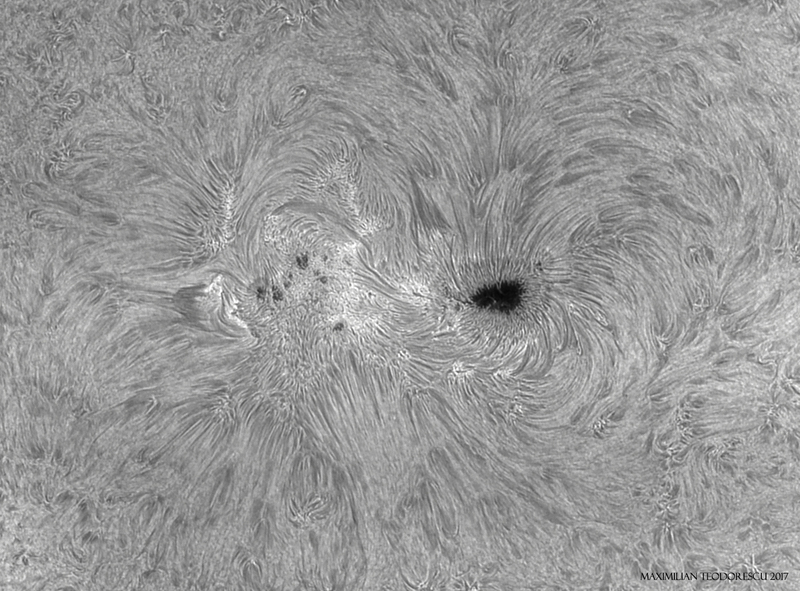 Equipment: 127mm Maksutov, full aperture solar filter, H-alpha 35nm filter, ASI 174 MM camera.